I've been having lots of fun in my studio! 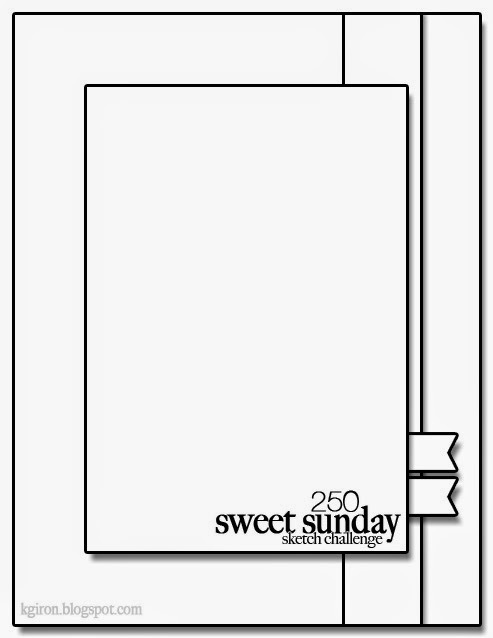 Today I'm sharing a holiday thank you card I made using Sweet Sunday Sketch 250 by Karen Giron. I absolutely love her sketches! The snowflakes are from Beautiful Blizzard by Newton's Nook. Aren't they gorgeous?!?! I stamped them in Unicorn pigment ink (Hero Arts). I just received this ink for Christmas, and let me tell you, it is without a doubt as fabulous as everyone says it is---L.O.V.E. it! For a touch of texture, I made the card base from white woodgrain cardstock (Simon Says Stamp). And I added some tiny aqua dots with a Souffle Pen to tie the design together. A simple but festive card---and completely flat for mailing---YAY! Next up...Valentines! I can't wait to get started! How about you? Are you making any Valentine's Day cards or treats this year? The kraft panel is so striking with those beautiful snowflakes & your aqua dots! Great use of the sketch, Lisa! Yes, I'm ready to get going on Valentines Day cards--my favorite next to Christmas! Love it, awesome colors and yes to those fun snowflakes! Love the white on kraft cardstock. 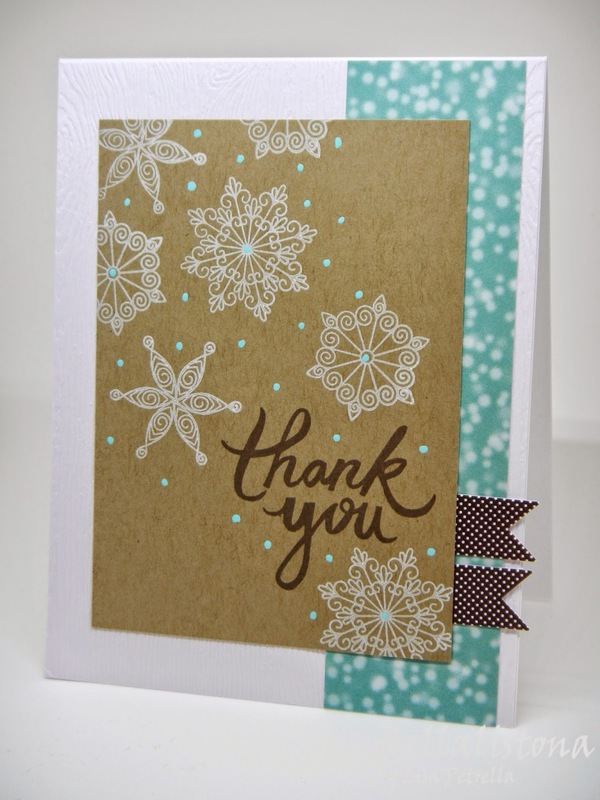 Those are some pretty snowflakes and the aqua dots are perfect on the card.